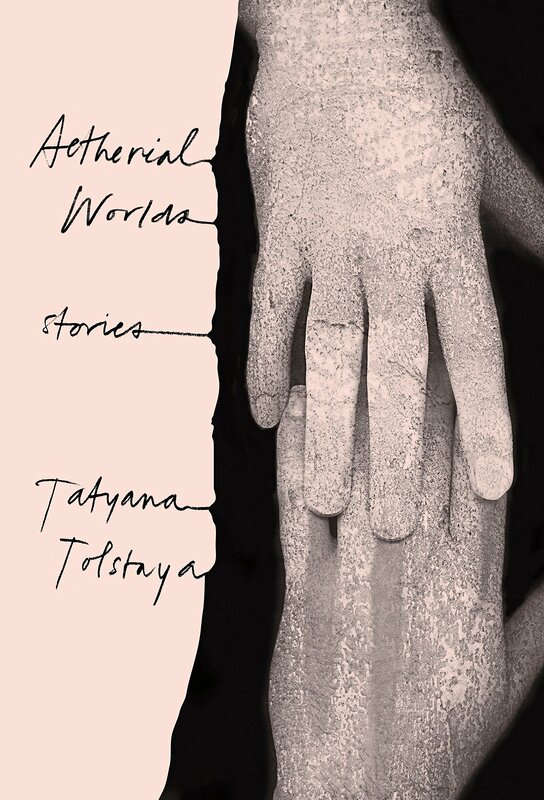 Comprising eighteen stories, Aetherial Worlds is Tatyana Tolstaya’s first collection to be translated into English in more than twenty years. Tolstaya’s stories phase between styles, content and themes, flickering through essays, memoirs, and fantasies reminiscent of the works of Nikolai Gogol. 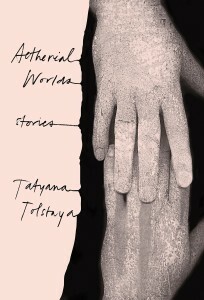 It is difficult to consider any one work in Aetherial Worlds to be singularly characteristic of the author; it’s more apt to say Tolstaya inhabits the spaces between her wide array of fictions. While this versatility is impressive and enchanting, it does result in an uneven book. Others, like “Without,” “Nowhere,” and “Father” make similar attempts at merging resonance and brevity but instead land hollow and underdeveloped. Alternatively, two sprawling stories (“Aetherial Worlds” and “The Invisible Maiden”) span over eighty pages of the collection. “The Invisible Maiden” recalls the narrator’s old family dacha, and reanimates long-dormant memories of past aunts and patrons of the house. The aforementioned “Aetherial Worlds” is about a Russian creative writing professor who buys a decrepit old house in New Jersey. The house serves as a hub for the story’s narration, allowing Tolstaya to drift into the lives of all involved parties, from the house’s divorced previous owners to the gardening couple who came before them. Both “Aetherial Worlds” and “The Invisible Maiden” are beautiful explorations of how memories can translate into stories, and how a rich history can effectively transport any daydreamer into a new world between memory and fiction. But compared to the collection’s tight, economical works these stories feel long and at times aimless and repetitive. “The Square” is one of the collection’s highlights, but another example of its incongruity. It is a erudite essay on the constructivist artist Kazimir Malevich and his famous “Black Square” painting that forever changed Modern Art. Tolstaya expands her study into a discussion of the late years of Leo Tolstoy and the author’s psychological episode that was later dubbed “the Arzamas horror.” It’s an outstanding work that will make readers wish Aetherial Worlds was composed of more critical essays and less meandering fiction. In “Doors and Demons”, the narrator says she is “inclined to see signs and symbols everywhere.” In “Official Nationality”, another fine essay on the Russian experience, the narrator pinpoints “let’s hope” as “the defining feature of the Russian people.” This is not an optimistic sentiment, but a metaphysical blurriness that has quietly permeated the entirety of Aetherial Worlds. “It’s a lack of belief in the material nature of our universe and its physical laws.” Like “Aspic” (both the story and the traditional dish), this sentiment is the jelly that holds all of Tolstaya’s diverse ingredients in place, making Aetherial Worlds a concoction as traditional as it is confounding.